There are many other specifics that we won’t publish. WHAT? She kind of seems like she’d be crazy in ‘real life though’, doesn’t she? She’s a bit strange and plastic and a total, unabashed cougar – but in a fatal attraction kind of way. Sometimes I’m think to myself, “Damn, Sharon – you look good for 50!”. But then it comes out that she tried to botox her child’s feet. Say what? Did you see this? 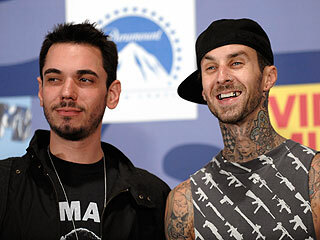 Travis Barker & DJ are the only two survivors of a fatal airplane crash that killed four other people last night, including the pilot & the co-pilot. 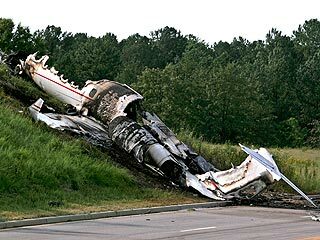 Their plane crashed right after takeoff from a Columbia, South Carolina, airport after midnight. DJ AM was so severely injured that he had to be airlifted from the scene, and people were afraid he wouldn’t make. Both he and Travis Barker are alive, but listed in critical condition, being treated for severe burns. Look at this crash – can you believe they’re even ALIVE! There is nothing left of this plane! The two performed last night with former Jane’s Addiction singer Perry Farrell, as well as Gavin DeGraw at a college event that students could attend for free. Luckily, they didn’t all fly together that night! Send some good vibes, or pray, or dance, or whatever you believe in.